Multi-function trash cans simple and beautiful, economical and practical. Any place can be used, such as the car, bedroom, public space and so on. Can be used as trash, cup holders, coins can also be stored, bills and other debris. Made of plastic, bright colors, to meet different customer needs. 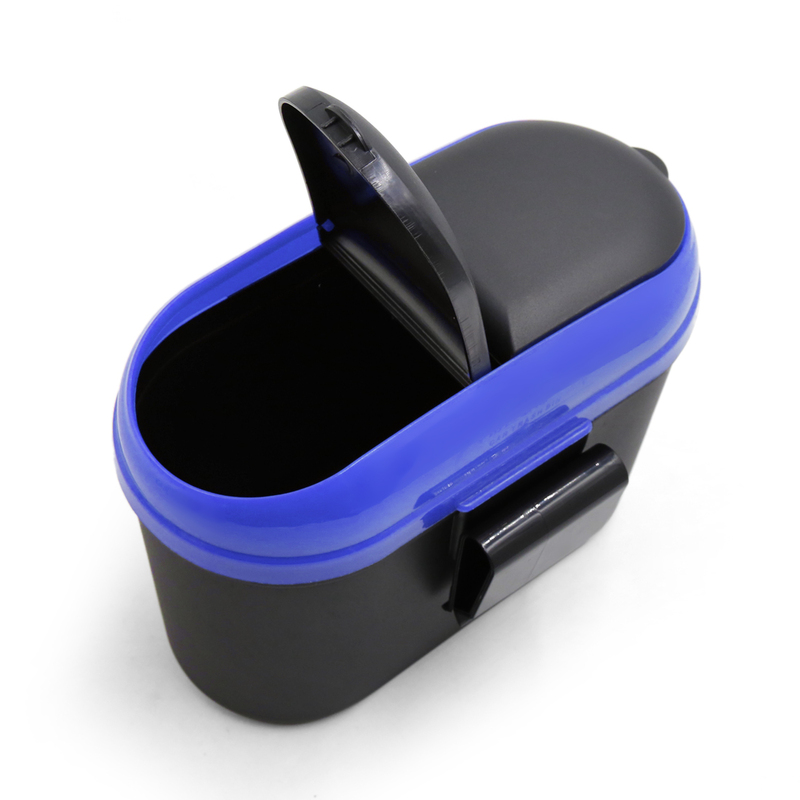 The lid can quickly disassemble, easy to clean. Reasonable design, easy to use, stylish avant-garde, not just the trash can, designed to meet the human body, spring cover design, beautiful yet without losing the use. Put some water in the trash bin if you want to use it as a ashtray.Do not put the litten cigarette ends in the trash directly, otherwise the dry trash will burn. Need to disposel the trash in time to avoid the secondary pollution.